It is 2018 and we have seen a lot of modern, robotic, and overly complicated coffee grinders come and go, and coffee technology has progressed to an almost Jetsons-level of sophistication and convenience. 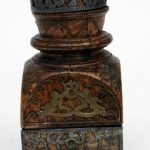 Coffee grinders, coffee brewers, fancy coffee doodads, coffee whatsits, and much more now permeate the java landscape, but none of those things would have been here today if their ancestors, the manual grinders – now considered antiques – weren’t invented. Personally, I love manual grinders the best because I think they produce the best results in terms of grind quality, and, if they are made in vintage or antique style, so much the better. If they truly are old and have decades of work behind them, I would totally enjoy using them as well. This is just my preference, and I love to collect different ones from around the world. I am from Macedonia originally, for your information. These wooden/metal antique grinders which you see for sale online these days aren’t just meant to add décor to your kitchen; and this certainly isn’t the case for me and my antique grinders – I put them to work! 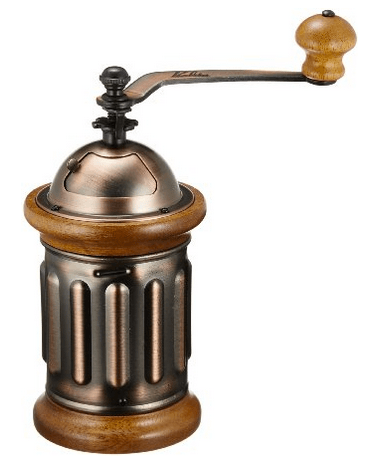 Being made from steel or iron with different kinds of beautiful trim, as well as a wooden box with a drawer that catches the ground up coffee, these antique-style coffee grinders are not just the stuff of specialty shops and/or antique stores anymore. You can get them brand new for quite low and reasonable prices, made with just as much craftsmanship and working just as efficiently as those classic antique models. If you want great coffee, you need to tick off a few boxes to make sure you get there. You will need quality coffee beans to start, fresh and perfectly roasted, but it is the grind that has the greatest influence on the taste of our cup of coffee, and yet many people don’t pay attention to this. 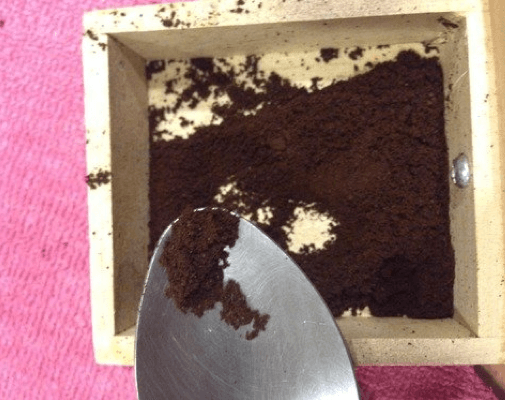 Electric grinders (particularly of the blade variety), if poorly made, can and will give you an uneven grind and more often than not you can end up drinking mud. You might even have to deal with overheating due to motorized grinders transferring too much heat into the grind, and this can affect the oils and ruin your coffee flavor. With antique grinders, which are always manual and always burr-driven, you won’t run into any of these troubles. If you’re really wondering whether these old grinders could possibly still do the work of their more expensive counterparts, the answer is a resounding yes. 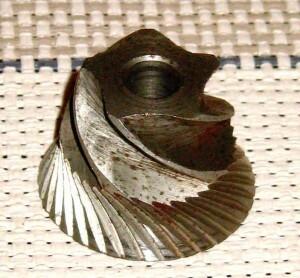 Here’s the thing – antique coffee grinders usually have a conical burr set which is the best for getting an even grind and a brewed cup of coffee without the bitter taste that some methods give you. These vintage grinders also have a grind adjustment built-in so you can adjust the burrs for grinds from coarse to fine. Yes, you might have to do the grinding yourself, but the results, at least to me, are always better. It’s the difference between something that’s done by hand versus something which is done automatically. I always like the results when done manually. Its quieter, the grinds are more consistent, and even the smell is better. 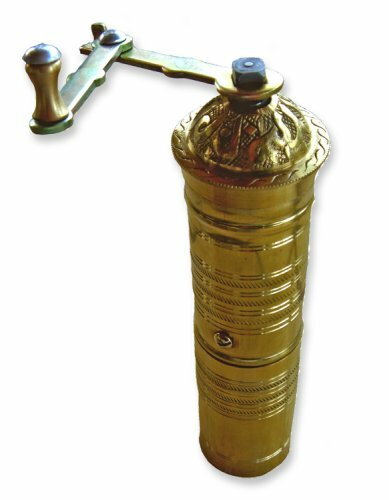 I have made a list of several quality made antique grinders that I love and that you can purchase for reasonable price and I believe you’ll get a good insight into what you can expect from your antique grinder, how to use it and so on. 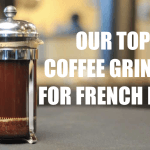 The Norpro Coffee Grinder is a classic antique coffee grinder that has easily adjustable settings ranging from fine to coarse, which means this grinder is equally good at grinding for French Press as it is for espresso. 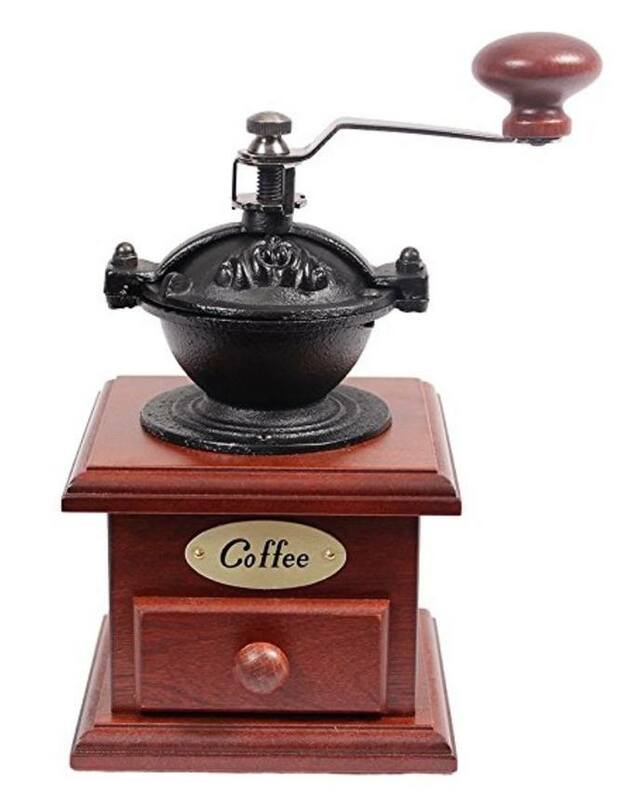 This antique coffee grinder is very easy to operate, simply because all you have to do is put the coffee beans inside the hopper, turn the handle and grind the coffee until you have your desired amount waiting inside the drawer. 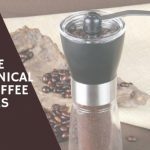 Here is a quick video review of the Norpro antique coffee grinder, showing many of the features of this grinder in real time. This grinder is really simplicity itself. This is a perfect little antique coffee grinder that in my kitchen has a special place on the counter and many people who visit me don’t think it is actually used because they all think it is just part of the décor – until they see a few stray coffee grounds on my white counter, which always makes them say “Is that a coffee grinder?”. 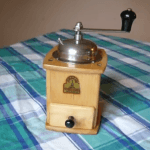 The Norpro antique coffee grinder weighs about one pound and has the following dimensions: 4.5 x 4.5 x 8 inches. It’s quite inexpensive, and if you really don’t like putting effort into the whole manual grinding ordeal (it’s really not that hard though), you can keep it as a nice bit of design excellence in your kitchen. No coffee drinker that I know would do such a thing, but it really is nice looking enough where you could get away with just decorating your house with it. With my Norpro, I have tried to grind other things besides coffee, such as peppercorns and it worked just fine. 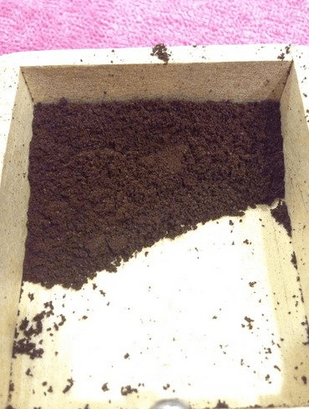 I should point out that this isn’t a good idea if you are just wanting it for coffee – stray flavors can easily invade your cup and its not, shall we say, the desired effect. I want to point out that if a coffee bean happen to get stuck somewhere between the hopper and the wooden grinds drawer, a simple gentle shake will do the trick. It won’t be stuck in there forever, so don’t worry if this happens from time to time. 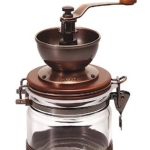 I think that the Norpro is perfect if you aren’t ready to spend more money on an electric burr grinder, or maybe you just like the antique look or are just starting out in the grinding world. If you enjoy it, you may want to upgrade, but that doesn’t mean you can’t get great results from this grinder – it is adjustable and the results are excellent. I give five stars to this little guy. 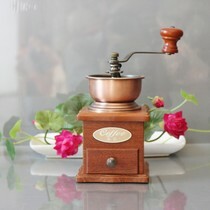 And now for something a little bit different, here is the Musiclily vintage style coffee grinder. This grinder, if you ask me, is even more of a retro style machine as it harkens back to mills of old, with its large exposed wheel and metalwork design. Yes, the name is super long, but that wasn’t what caught my attention. The first time I saw this thing I couldn’t take my eyes off of it. Look at it. It would seem like it made its way from some old German castle to my kitchen. There’s an actual mechanism that rotates as you spin the handle and grind the coffee. No matter how complex it looks, trust me – it is super easy to operate. It has a ceramic iron burr set (as we said ceramic burrs are the best for manual grinders) to make grinding faster, easier, and better. The Musiclily vintage style coffee grinder can be easily adjusted so you can get a wonderfully consistent grind, whether coarse or fine. All you have to do is place the coffee beans inside the bowl, spin the handle and that is it – within minutes of spinning (and actually having fun while watching this thing work) you will have freshly grounded coffee inside the wooden drawer, ready for brewing. Although it is twice the price of the Norpro grinder, it is really quite impressive to look at so I would say its worth it. I don’t know why, but the name ‘Molmo’ makes me laugh. Besides the funny company name, this “professional’ ceramic burr made it on my list because this works just fine, grinding coffee, spices, and herbs too. 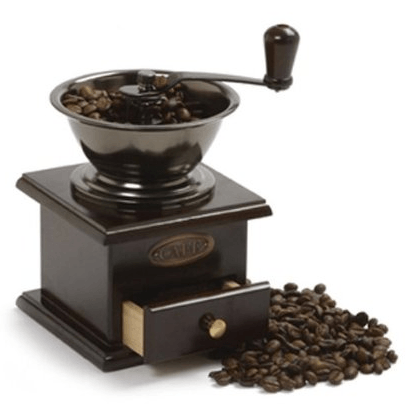 It has that traditional antique look that I enjoy so much – a wooden box with a small drawer where the coffee will fall down once ground and a nice, big handle that you need to spin in order to achieve that fine grind. It is made from solid beech wood, which makes it stronger and more durable, absolutely great for everyday use. This is a grinder you won’t want your dog chewing on, since scratches can be so visible. The relatively small size of the grinder makes it perfect for little households (one to four people), or if you are going to use it for spices, you can grind one small jar with your favorite spices and herbs in literally one go. Still, I don’t recommend mixing spices and coffee. Manual grinders do require a bit of physical effort – that’s why they are manual, but once you get used on it a few times it does become easier to use. At the beginning you might feel that burrs are tough to get going and it seems like you will need to put more effort, but with everyday use the beans will ‘oil’ the burr and it will go much smoother. Make sure you have set up your grinder correctly so you get the best out of this manual grinder. It surely has a pleasing antique look, while the ceramic burr gives it durability and well-ground. The dimensions are 3.8 x 3.8 x 8 inches and the entire item weights about one pound. It can be purchased for less than $20 in most places and makes it a perfect gift. Can you tell me about the old cast iron Favorite No.27 coffee grinder? Thanks!